Enter the Zip as 08002. This should automatically fill in City, State and Country fields. You will be brought to a page showing the results of your test transaction. You can click on the magnifying glass icon in that row to view transaction details and perform credits, voids & additional authorizations. Create Security Questions. For assistance, see this article. If you are locked out of your account or have had 3 failed login attempts, see this article. Obtain your Gateway Information to link Merchant Account with 3rd Party Software. For assistance, see this article. In order to receive processed funds, you must submit a Credit Card Batch. View this article for more information. Per Visa/Mastercard regulations, transaction data can only be viewable in the Transaction Center for a maximum of 180 days. 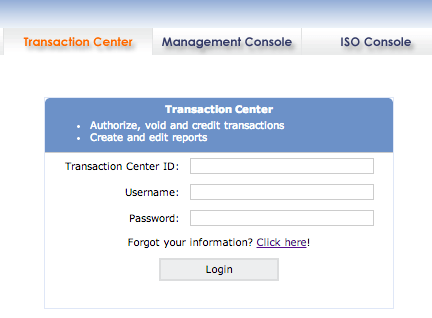 If you would like a permanent record of your transactions, you can create and download transaction reports from the Reporting/Metrics section of the Transaction Center. For more information on Reporting/Metrics, please see this article. Two Pieces of Contact information. 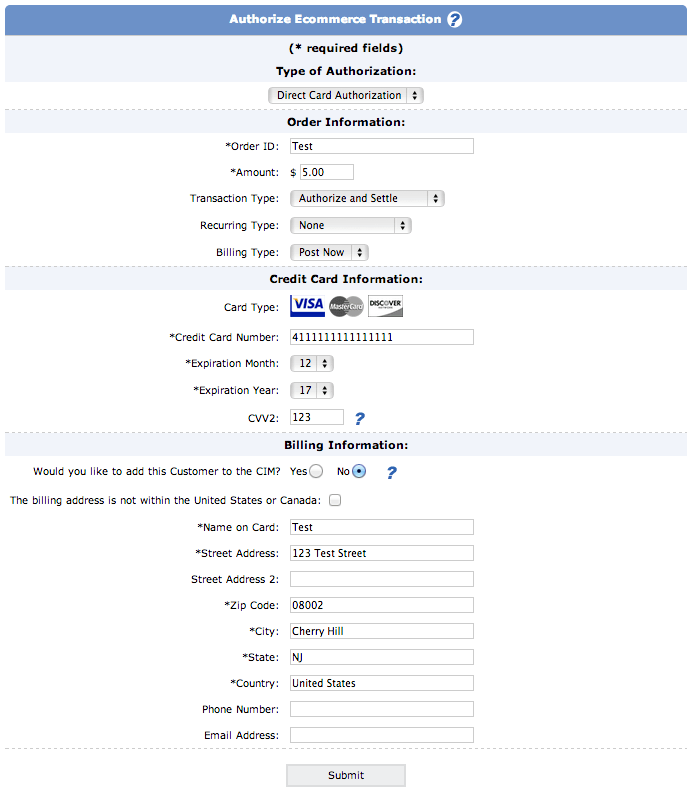 This information should match information provided on the merchant account application.